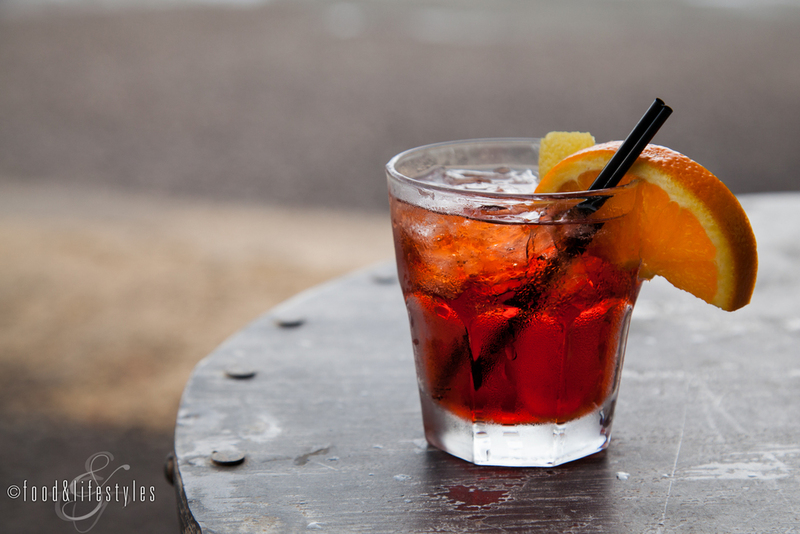 The Negroni, a traditional Italian aperitivo, has long been one of my favorite cocktails. Its distinctive ingredient is Campari, a bitter liqueur made with a closely-guarded formula developed in 1860 by Gaspare Campari in Novara, Italy. Comprised of alcohol infused with a multitude of fruit and herbs, for decades its vivid color was due to carmine dye, a natural derivative of cochineal beetles. Though this practice was discontinued in 2006, you'll still find Campari's presence in the Negroni announced by its ruby-red hue. The most popular story of this cocktail’s origin dates to the early 1900s and involves a Count Camillo Negroni. Lore has it that the Count, a regular at Caffè Cassoni in Florence, Italy, asked bartender Fosco Scarcelli to bolster his Americano (Campari, sweet vermouth and soda) with gin instead of soda. With three simple ingredients, a new libation was born. The classic proportions are equal parts gin, sweet vermouth, and Campari. Garnishing with an orange slice or twist underlines the bitter orange component of Campari. 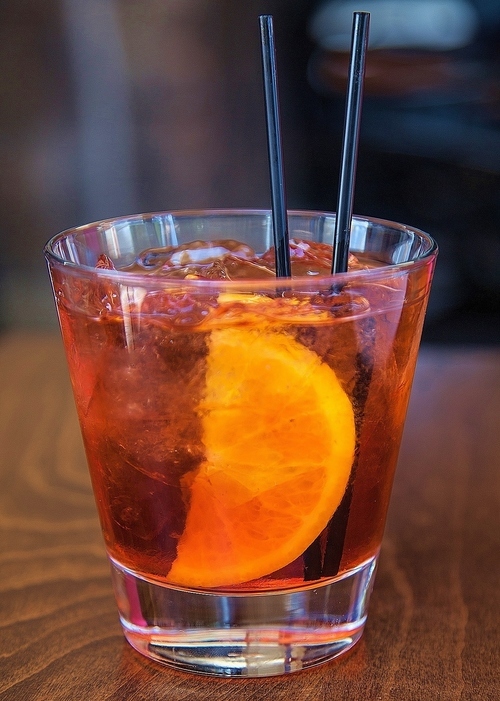 A refreshing Negroni, served over ice or straight up, is my pre-dinner drink of choice, a perfect aperitivo or “palate opener” before a splendid Italian feast, or any time. Recently, the team from Riboli Family Wine Estates was in town, and I had the opportunity to attend a special media dinner introducing their award-winning portfolio at Lincoln Steakhouse, the flagship restaurant of JW Marriott Scottsdale Camelback Inn Resort & Spa | Lincoln Restaurant. We were greeted with a welcome cocktail called the "Italian Kiss" made with Stella Rosa Imperiale Prosecco and their lovely new aperitivo, Rosa 22. Produced in Italy's Piedmonte region, Rosa 22 is made with 22 fruits, herbs, and spices, lending it aromatic notes of peaches, cardamom, and rose petals. If, like me, you're a fan of the Italian bitters such as Aperol and Campari, you'll find this a delicious addition to that stable of Italian liqueurs. For me, Rosa 22 sits in the middle; not as bitter as Campari, and more floral than Aperol. I'm also a fan of the classic Italian cocktail, The Negroni, and found that Rosa 22 combined with the traditional components of gin and vermouth made an excellent variation. As we enjoyed appetizers, including tuna and avocado poke, cauliflower with pickled vegetables and smoked yogurt, and lobster "escargot" (the table favorite), PR director Melissa Gonzalo educated us on Riboli Family wines, beginning with San Antonio Winery, the foundation of Riboli Family Wine Estates. "It's a historic winery that has been around for 101 years now," shared Melissa. "It was founded in 1917 by Santo Cambianica, an Italian immigrant who came to work on the railroads in LA, and has been family owned for four generations. The head winemaker now is Anthony Riboli, and our vineyards are located in Paso Robles, Monterey, and Napa." Our first pour was the Maddalena Chardonnay, ripe with aromas of tropical fruit and citrus, from the family's estate in Monterey. "It's named after our matriarch, Maddelana Riboli, who is 95 years old," said Melissa. It was a perfect pairing for my Chicken Fried Lobster Salad with romaine, avocado, sweet cherry tomatoes and Green Goddess dressing. Next, we moved on to two reds from Paso Robles in California's central coast. The Maddalena Paso Robles Zinfandel has scored 90 Points in Wine Enthusiast. "It's a hidden gem in our portfolio," said Carmen Waggoner, SW regional manager. "I think many people go to the big reds or the chards, but for those who like a nice zin, it's really fantastic. It's a favorite at the Wynn in Las Vegas, and it's one of my favorites too." Dark fruit and juicy tannins at a great price point made this one of my favorites of the night. With a score of 90 Points in Wine Spectator and a favorite of winemaker Anthony Riboli, the San Simeon Cabernet Sauvignon was another crowd-pleaser with notes of dark chocolate, blackberry and black cherry. The San Simeon Estate Reserve Stormwatch, a Paso Robles red blend, is a multiple-award winner and was another highlight of our media dinner. Layered and complex, this Bordeaux-style blend of Cabernet Sauvignon, Merlot, Malbec, Petit Verdot, and Cabernet Franc grapes featured notes of black cherry and plum with French oak barrels lending spiced vanilla structure. Its rich balanced structure was especially wonderful paired with an excellent Lincoln Steakhouse duo - juicy prime bone-in ribeye with a fantastic charred crust thanks to a high-heat Josper Charcoal Oven and grill, and an accompaniment of hen of the woods mushrooms slathered in a piquant mustard butter. Looking for a perfect hostess gift? Bring them a bottle of Stella Rosa Imperiale Black Lux. This semi-sweet blanc de noir is a sparkling red blend of Pinot Noir and Pinot Meunier grapes. Decadently paired with our dazzling array of desserts (especially nice with the luscious Denny's German chocolate cake), I think it would also be perfect in a first course as a partner to a plate of fresh berries and soft cheese, such as a triple creme brie or local Crow's Dairy farmstead cheeses.